I may not have been blogging this week, but I have been weaving. That's thirty, but there are more now, that haven't been stitched into the chain. 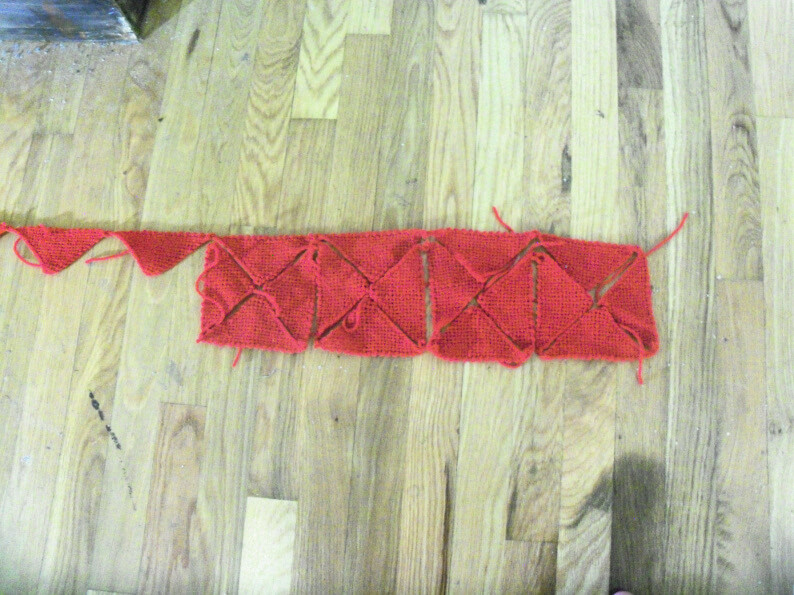 I (obviously) haven't started stitching the edges together, although I will soon. Although I didn't get into the developers' academy I was hoping to, I'm studying programming again on my own, and am poking at the project I started last time I did this, a script to generate all the figures to plug into a geomancy chart. I've got another project planned for it, too, eventually, when I learn enough.